I’m Dr. Jeff Bynum of Five Star Dental Care. My office is located at 3203 Lithia Pinecrest Rd in Valrico. One of the best things about being a Valrico area dentist is interacting with my patients. During initial dental consultations, I listen carefully to my patient’s short and long term dental goals. 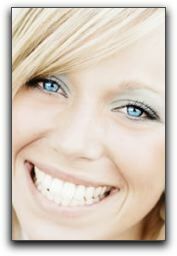 I never get tired of creating dramatic smile transformations for the best clients in Valrico! If you have been considering a smile makeover, let’s talk about your smile. Call Five Star Dental Care at 813-653-2273 to schedule a cosmetic dentistry consultation. This entry was posted on Friday, April 6th, 2012 at 9:44 am	and is filed under General Dentistry. You can follow any responses to this entry through the RSS 2.0 feed. Both comments and pings are currently closed.